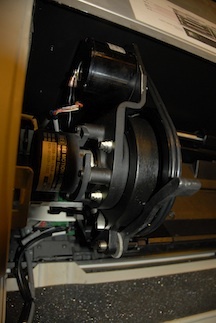 Some of our clients have wanted to see the inside of our drum scanners. We try to only open the scanner for maintenance so i decided to snap some pics when we did. Its very interesting inside. 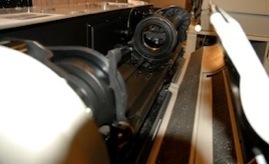 These are images of the front of our Howtek 7500 Drum Scanner during routine maintenance. 1. 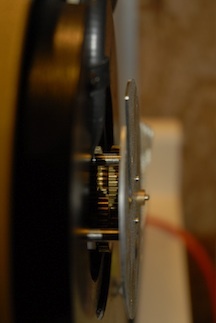 Left side: Rotation Motor on top and Encoder on the bottom. 2. Clockwork mechanism that drives the FOTI arm. 3. 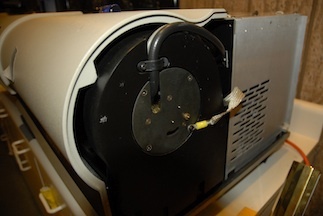 Right side of the scanner with the case removed and Clockwork mechanism closed. 4. 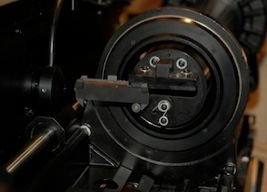 FOTI arm Extended (used with the large drum) to the FORI arm. 5. 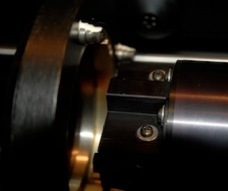 Top of the FOTI arm and right side clamp. 6. View of the front of scanner with the door opened. In the next few weeks, i will try to snap some pics of the card cage, optics bay and lamp assembly.